As a keen cyclist/acupuncturist, my bike riding was associated with a lower back pain. When I started to be serious with bike riding 5 years ago, I became a member of a cycling club that holds a road race weekly. During one of the training sessions, an A-grade rider suggested: “Hey mate, here is a trick for you to ride faster quickly.” Of course, I am all for it, because speed was all I was looking for. “The trick is while you are riding up a hill use a higher gear. As most riders use lower gears for climbing, you will be climb faster with your bigger gear.” That sounded like a good moment to launch an attack in group rides/races. Thus, I started. I remembered in the first two weeks, the noticeable improvement of my speed made me really happy. Two weeks later, this happiness came with a shadow. I started to feel some minor lower back pain on my right side when I was on the bike. As “Pain and Glory” is the mojo for many serious bike riders, I soldiered on with the high gear climbing the hills. Another 2 or 3 weeks later, the back pain not only hunted me during the bike ride but also whenever I sat at home or at work, as a constantly aches on my lower back. 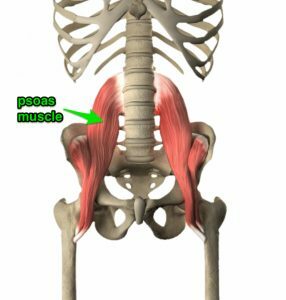 These symptoms are mainly caused by the tightness of the Psoas muscle (see Picture). Funny enough, Psoas muscle is not located at the lower back (that is why you cannot find the exact pain located on your back). It is located behind the guts and in front of the spine that forms part of the wall behind the stomach. In a layman’s term, this muscle is a part of our body’s “core muscles”. It begins with the height of the kidney and runs down your body until it reaches the inner thighs. As it is located across the hip joint, all upper leg movements are engaged with this muscle. 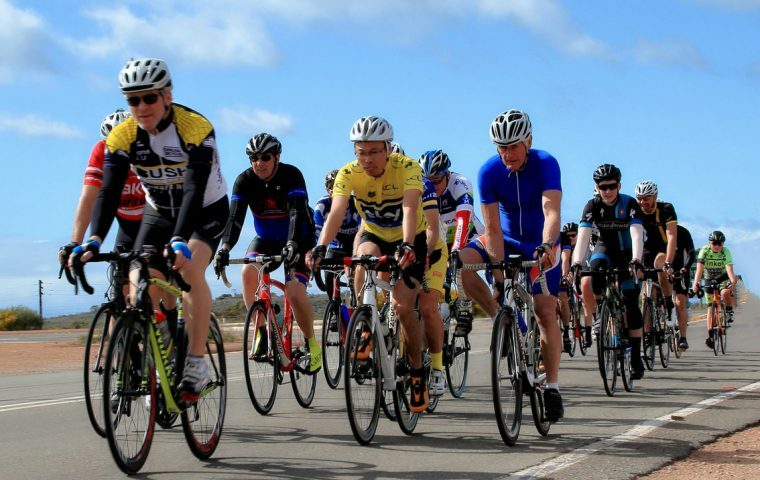 Most of the pedalling is uses the thighs and calf muscles for the power. In my case, when I pedalling with tremendous effort, the Psoas kicks in with the rest of the muscles from the inner thigh. Once the Psoas is overworked and becomes fixed, it can be difficult to stretch/relax it as the psoas is so deep. To make things worse, during the hours of cycling training, Psoas stays in a rigid and shorten state for a long time. (see Picture ) It pulls the spine forward and consequently, the back muscles get tighter when staying upright. That is when I start noticing the backaches and stiffness. Treating this type of lower back pain is like fixing a crack on an archery bow which also has a very tight string. By loosening the string first, repairing the crack is an easier and more effective job than only reinforcing the crack area on the bow. Any methods that focused on the lower back (“the bow”) only, i.e. putting on heat packs, stretching lower back or a remedial massage on the back, may relieve the pain for some time. It only takes a few hours or couple of days, the same annoying lower back pain would come back. To solve this type of back pain, it may sound strange, I started the acupuncture treatment on my stomach first to relax the Psoas muscle (“the string”). The pain relief almost happens immediately and I noticed that my back getting a lot looser. Of course, I used acupuncture on myself for this lower back pain, like all acupuncturists can be. I am happy to report that I have not felt the lower back pain in last four years while riding after a few acupuncture sessions and learnt ways to strengthen my core muscles. One lesson learned that from riding – compete at the level your body can handle, train hard to reach your best but not by any harmful tricks or methods. Meanwhile, If you suffer from a similar lower back pain from your bike ride, you may Book an appointment to discuss your pain and found out how soon you can ride strong again without a back pain. * This article was originally published in the Canberra Cyclist Magazine # 259 (Dec 2017-Jan 2018). I edited it to make easier to read online. As a sports acupuncturist, Chen is actively involved with Padel Power ACT , to help riders to padel strong without pain for a long time.